This is Taschen 25 - Special edition. Philippe Starck wants to bring love and happiness into your life by designing objects, environments, and appliances that will brighten your days. He spent his childhood under his father's drawing boards, sawing, cutting, gluing, and sanding, dismantling bikes, motorcycles and other objects. Several years and several prototypes later, he has changed life at the French presidential palace, the Italians have asked him to renew the notion of furniture, and he has turned the Royalton and Paramount in New York into the first classics of the new hotel world. 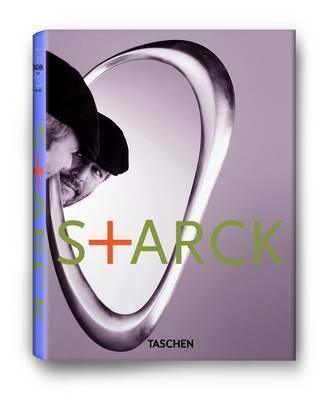 Starck's overwhelming international success and cult-star status are proof that people everywhere are receptive to his kindhearted philosophy and distinctive aesthetic sensibility. The democratic design projects that he has undertaken with Target (USA) and j/ii (Japan), as well as the Taschen bookshops in Paris and Los Angeles and the Bon restaurant chain, are among the projects included in this volume that traces the entire career of today's foremost design superhero.